Adrian Paul, Alexandra Vandernoot, Stan Kirsch et al. 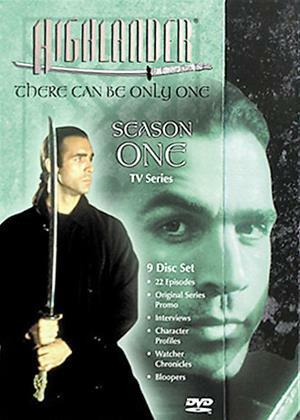 Spawned by the 1986 film of the same name, this twisty fantasy series stars Adrian Paul as Duncan MacLeod, an immortal Scotsman who wields his saber to battle for righteousness and combat other immortals intent on decapitating him to gain his power. The cast also includes Stan Kirsch as Richie Ryan, a headstrong street scamp whom MacLeod has taken into his confidence, and Alexandra Vandernoot as Tessa Noel, MacLeod’s French honey.